Motor vehicle insurance should be simple and, most importantly, provide the motorist with peace of mind. Today most motorists generally do not deal with a direct insurer but rather take out a policy through an ‘intermediary’, most commonly referred to as a broker. In these instances, brokers and other forms of intermediaries, act on behalf of the large underwriters and authorise claims. 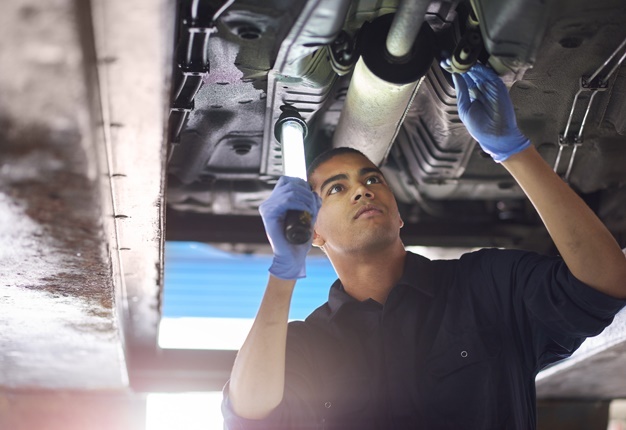 The motor body repair industry accepts these authorisations and completes the work before any payment is received based on these trust-based agreements. In most instances, however, the intermediary does not collect and hold your money, as is the case with a direct insurer. Your premium is paid over to the underwriter and if something goes wrong with the underwriter, as was recently the case with Nzalo Insurance when it was placed under provisional curatorship, your broker will not be able to pay the motor body repair business. Richard Green, National Director of the South African Motor Body Repair Association (SAMBRA), an affiliate association of the Retail Motor Industry Organisation (RMI), says legally SAMBRA is within its rights to retain or, return and retain if already released, any vehicle if the customer or their insurer fails to make payment on the due date for services rendered. "The customer will then be liable for any outstanding invoices as well as for costs associated with storage and administration.Clearly this is not a satisfactory arrangement for the unsuspecting motorist or the repairer who has no guarantee of receiving monies for work completed," says Green. SAMBRA is a national body representing almost 1000 motor body repair businesses across South Africa accounting for over 80% of all insured repair claims in the country. Know what your standard insurance clauses cover - It is extremely important to understand the terms of your insurance coverage. 1. Do you understand the extent of your excess? This amount needs to be paid to the panel beater, who collects the excess on behalf of your insurer before your vehicle will be released. 2. Have you taken hire-car cover? It is very inconvenient being without your car, so carefully consider this option. 3. Understand the terms of the contract should the vehicle be written off by your insurer. Often the amount they pay out in the event of a write-off may not cover what you have outstanding on your lease. • Check who gives authorisation to the repairer - The authorisation to the repairer is often provided by the broker on behalf of the insurer. However, as pointed out above, the broker cannot pay the motor body repairer unless the funds are provided by the insurer/underwriter. What are your rights? Can you choose your own repairer? You may choose your own repairer however you need to ensure that you have not signed away that right in your insurer contract. While it is your right to choose your own repairer, it is very important that you choose a repairer that belongs to a reputable association such as SAMBRA as this ensures the repairer has achieved accreditation criteria that should result in the delivery of excellent service and quality. • What happens if your insurer/underwriter cannot make good on the claim? Who is liable for costs? In the event that your insurer does not pay the invoice to your chosen repairer, the repairer is entitled to retain your vehicle until full payment is made. In other words, if your insurer does not pay, YOU are liable. • Can you protect yourself as the consumer? The only protection you have is your choice of insurer and panel beater. Choose a reputable insurer and use a SAMBRA member. 1. Do your research. Ensure your choice of insurer and panel beater are wise choices based on previous experience or reputation. Check out the credentials of the service provider and insurer with SAMBRA or SAIA (South Africa Insurance Association). 2. When first choosing a vehicle be aware that fancy colours are far more expensive to repair. 3. Be aware that if you have added accessories to your vehicle they will not be covered unless you have advised your insurer. 4. Be aware that your driver’s licence needs to be current or your insurer could decline your claim. "At the end of the day knowledge is king and rather than being caught unawares and being left with a hefty bill when you least expect it, take time upfront to go through some of these important points," concludes Green.